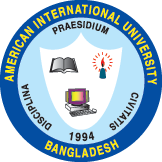 The IEEE AIUB Student Branch is one of the premier societies at the American International University-Bangladesh. Their track record is filled with activities ranging from numerous much needed workshops in the fields of technology, to initiating and playing an important role in upholding the ideals of this university through community services. Where would a society be without the passion of its volunteers and it is for the purpose of introducing the ideals and plans of IEEE AIUB Student Branch that the Orientation was held at the AIUB auditorium on Thursday, 31st March, 2011. It must be a matter of great satisfaction to the existing volunteers that this was a well attended event, with enthusiastic students filling row upon row of the hall, eager to witness the presentation. The orientation itself was an interesting affair with the promise of some very appealing Notice to come. Proceedings went on as they normally do at such Notice, hosted by the speaker of the show former Branch Counselor Secretary Sabikeena Sadeque, explaining the way it would benefit the students who joined and the hierarchy. This was followed by some motivating speeches from Jumanah Shireen Khan former Counselor of IEEE AIUB student branch and Coordinator of EEE department of AIUB and Prof. M. Aynal Haque, Chairman of IEEE Bangladesh section. They stressed mostly on the importance of women in engineering in their speeches along with other interesting. This was followed by a thought provoking speech on why engineering is an important subject to study from Prof. Dr. ABM Siddique Hossain, Dean of the Faculty of Engineering and Advisor of IEEE AIUB Student Branch. The meeting concluded with the introduction of the newly elected board members and a very interesting presentation on what the society has done in its previous to terms. Refreshments where then handed out to the members. It will be interesting to see in the months to follow whether the initial enthusiasm with IEEE is retained. Also of note, and ultimately of greater importance is to see whether the new volunteers will take this society to new heights and to improve upon the standards it has already set.